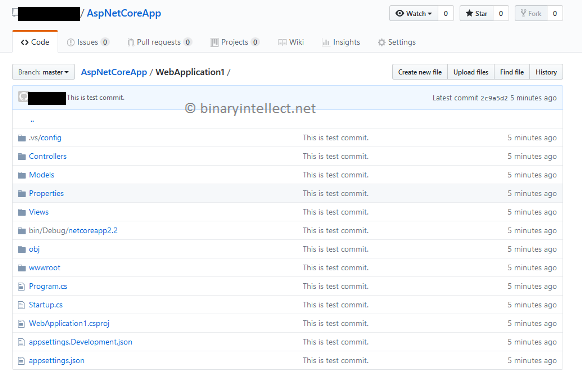 If you a beginner in ASP.NET Core, you might have wondered as to how newly created projects can be placed under a GitHub repository. In this article we will see the overall steps and configuration to do so. We are not going to discuss Git or GitHub in much length in such an introductory article. 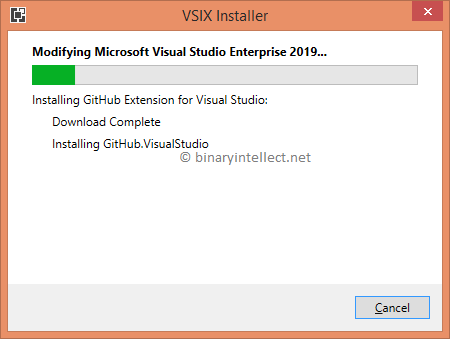 But you will get an idea about how GitHub can be integrated in Visual Studio 2019. Note that Visual Studio 2019 is still in a Preview stage. Most of the instructions discussed in this article are equally applicable to Visual Studio 2017 also. The UI might be slightly different but the steps remain identical. So, in the following text when I say Visual Studio I mean any of the two depending on your installation. You want to create a new project. And while creating the project you want to set it up for GitHub. 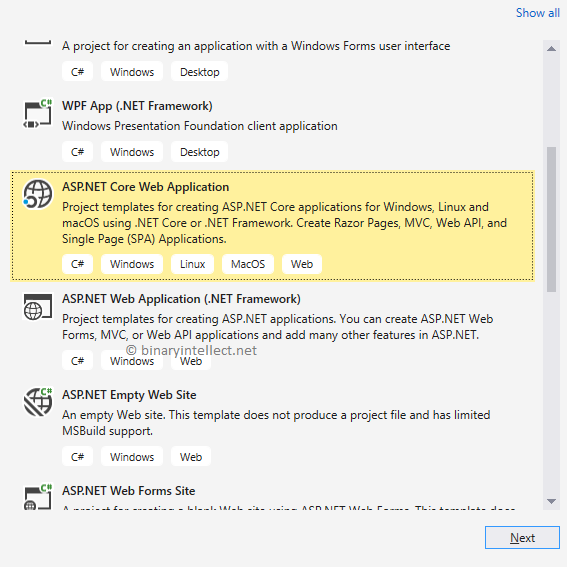 You already have a standalone ASP.NET Core project and now you want to add it to a new GitHub repository. 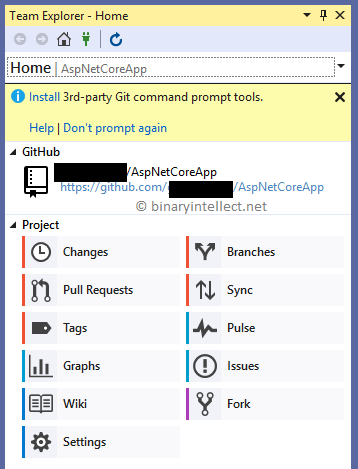 You already have an ASP.NET Core project and an empty GitHub repository and now you want to link the two. Let's see how each of these possibilities can be handled using Visual Studio. First of all, go to GitHub and create a new account. If you already have an account keep the login credentials ready because you will need them in a minute. 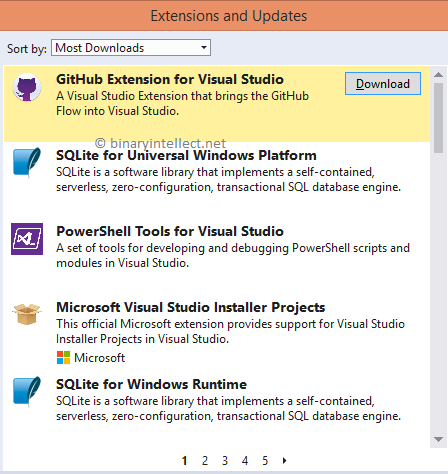 Now open Visual Studio and click on Tools > Extensions and Updates menu option. 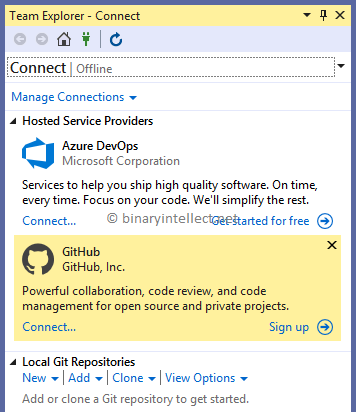 In the dialog click on Online on the left side and locate GitHub Extension for Visual Studio (see below). Click on the Download button and exit the Visual Studio. Upon exiting, the installer will be invoked and the GitHub extension will be installed for you. Next, click on View > Team Explorer to open the team explorer window. 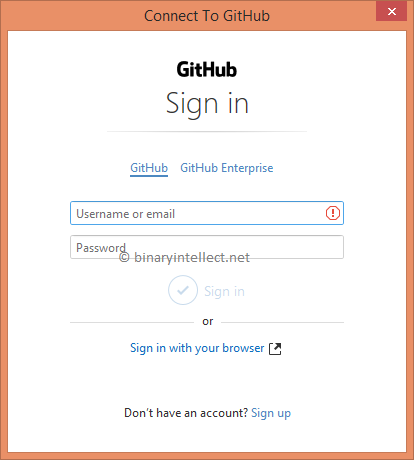 Enter your GitHub login name and password and click on the Sign In button. Here, you can specify a name for the repository, a short description and a local path. Your code is first added to a local repository and it is then pushed to GitHub repository. The local path points to the path of the local repository. You can also pick a License to your code. Keep the other settings to their defaults and click on Create button. 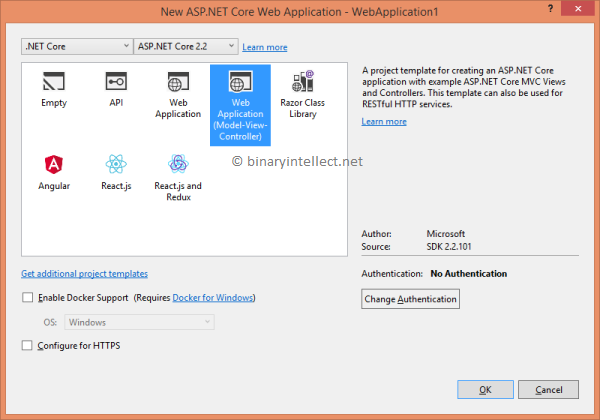 Now, create a new ASP.NET Core project using Visual Studio as you normally do. 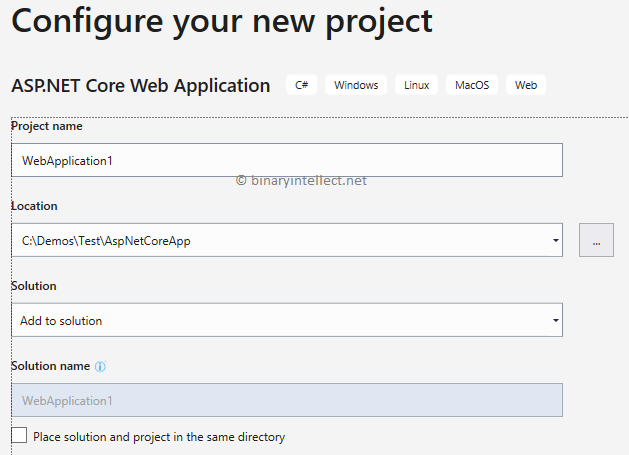 On the next dialog where you specify project name, make sure to create the project in the folder where the local repository was created earlier. In VS2017 you can check the "Add to Source Control" checkbox. And click on OK to create the new project. indicating that you are ready to perform source control operations on the code files. 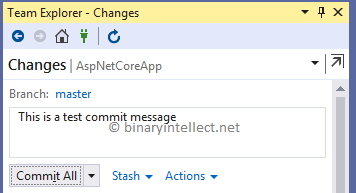 Enter a commit message and click on Commit All option at the top of Team Explorer. This will start the commit to the local repository. Once the commit is successful you will be told about the outcome. 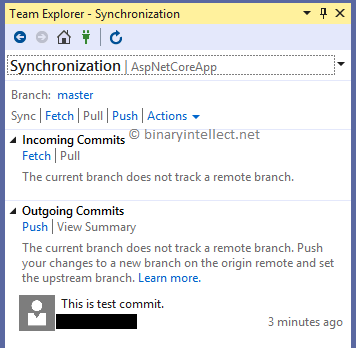 Click on the Sync button to synchronize the local repository with the GitHub repository. Click on Push under Outgoing Commits to initiate the task. 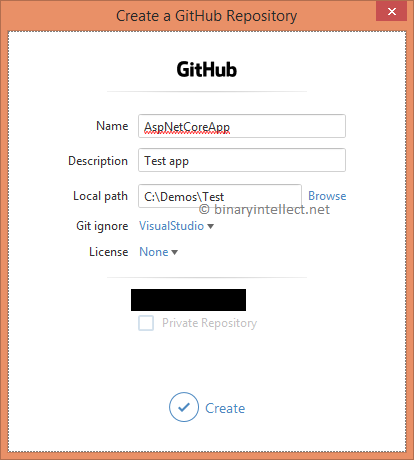 Once the push is over, you should see your ASP.NET Core application's code in the GitHub website. 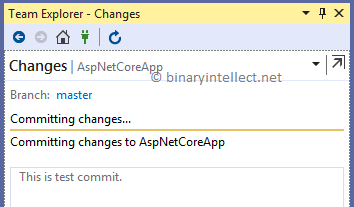 In the preceding example we added a new project to the repository while creating it. What if the project is already there and you now want to add it to a repository? Notice the two options there - Publish to GitHub and Publish to Remote Repository. 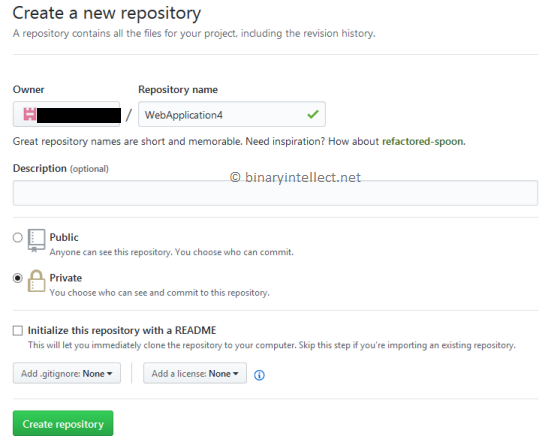 The first option can be used to create a new GitHub repository and then add the current project to it. 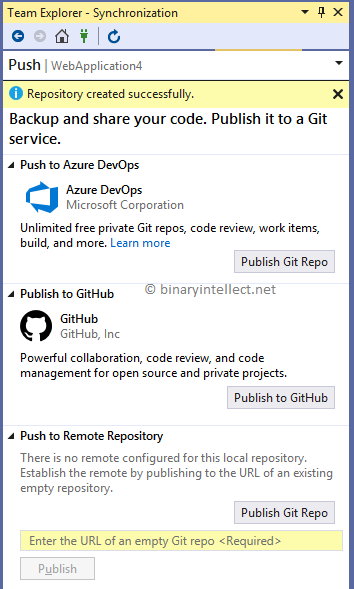 If you click the Publish to GitHub button you can create a new repository as before. Clicking on the Publish button will now add your files to the remote repository.